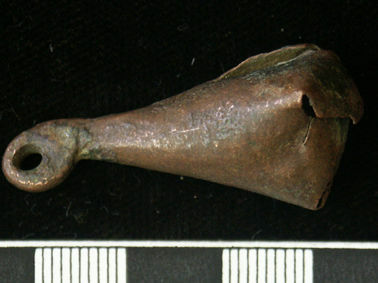 Medieval bag-shaped rumbler bell with cut and folded base and top hammered into a suspension loop. Height 40mm. The pea has been lost. Cf. Ivens et al. fig. 152 no. 54.